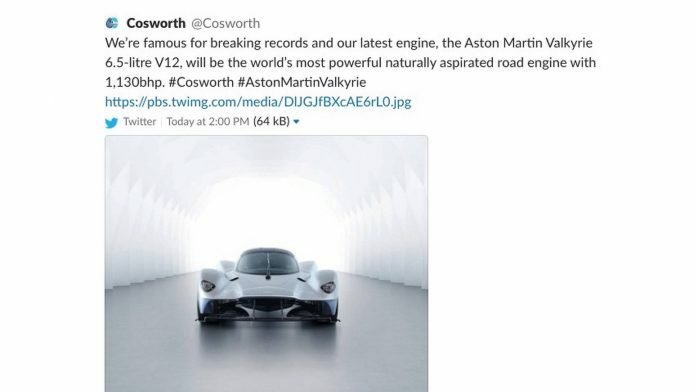 A tweet by Cosworth (who evidently jumped the gun with this announcement) has confirmed that the Aston Martin Valkyrie is set to benefit from the world’s most powerful naturally aspirated road engine. The British engineering firm have confirmed, via social media, that the Valkyrie’s 6.5-litre V12 lump will get 1,130 bhp. The (recently deleted) tweet read: “We’re famous for breaking records and our latest engine, the Aston Martin Valkyrie 6.5-litre V12, will be the world’s most powerful naturally aspirated road engine with 1,130bhp.” The tweet leaves plenty of questions as we had previously expected the Valkyrie to come equipped with a 1,130 bhp as the total of the V12 unit and electric power combined. It remains a mystery as to what the exact output figures will be. One thing is for sure, the first Valkyries are set to hit the road next year so we won’t have long to wait until we find out! The current record for a naturally aspirated road engine is the LaFerrari with its 789 hp, 6.3-liter V12. The list is dominated by Ferrari powerplants which occupy first, third and fourth positions. 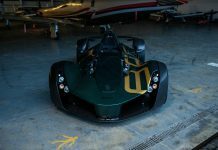 The Valkyrie AMR Pro track car is expected to exceed the standard version but should be more temperamental given its track-only application. So what do we know about the Valkyrie already? The shape appears to be pretty much decided now. 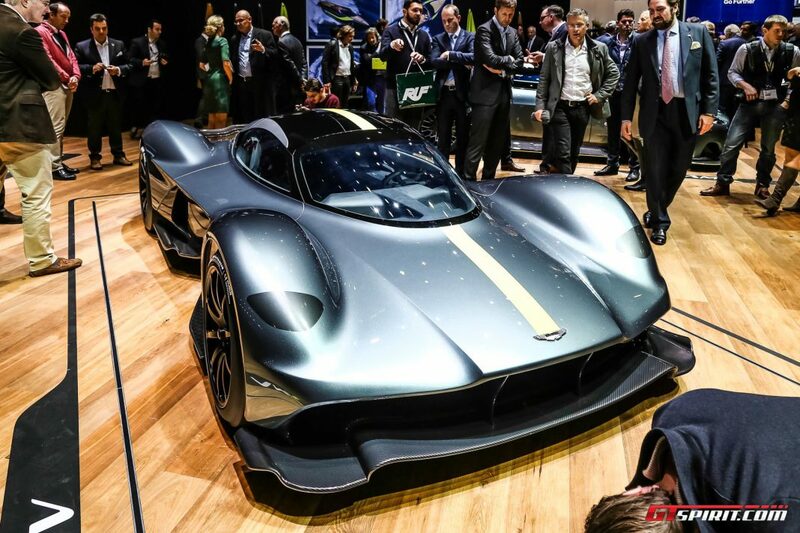 It was developed by Aston Martin and Red Bull Racing. It should produce around 4,000 lb’s of downforce under acceleration. 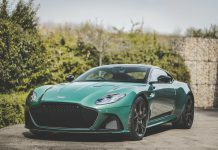 The mechanics of the car have received widespread input from the likes of Cosworth, Ricardo, Rimac Automobili, Multimatic, Alcon, Bosch, Surface Transforms, Wipac, and Michelin.